Will the weather be kind to us on the day - or unkind? I can't tell but I do know that our programme will definitely hail from the sunny side of the musical street. A sparkling group of madrigals from various European destinations includes an explicit demonstration of why singing with a heavy cold never was a good idea. Four uplifting motets span 400 years in 11 minutes flat (well, hopefully not flat, but nicely in tune). We usually try to dissuade our audiences from dancing in the aisles during our concerts, but one or two people may not be able to help themselves as we offer two lively items from the African continent. A short collection of 19th century part-songs feature a sales pitch for an extraordinary elixir that might well have helped the fellow with the heavy cold. And we finish with a group of items in which almost anything might appear - but what ever they are, bright and breezy will be the order of the day. 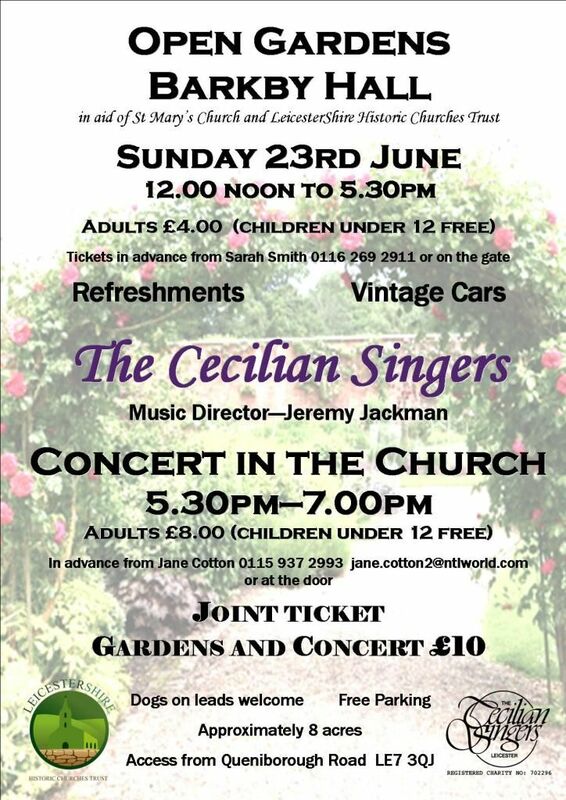 to see you at our concert in these wonderful surroundings.